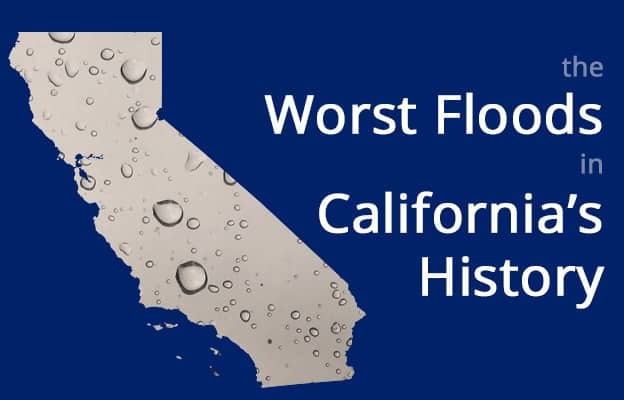 The Worst Floods in California's History | TSC Restoration, Inc.
California may be experiencing a drought right now, but in a state that shares a huge border with the ocean, flooding can be a common problem. Storms, tsunamis and industrial accidents can all cause flooding. 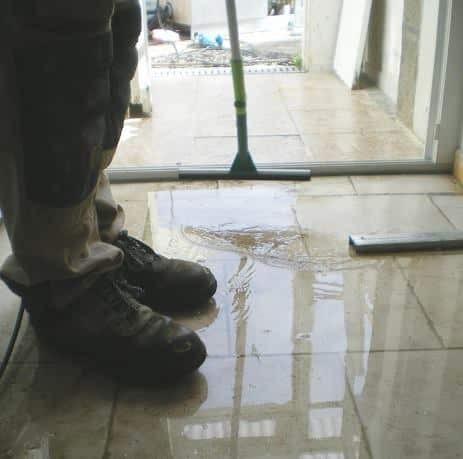 Even minor flooding can cause serious damage for homes and businesses, requiring extensive water damage restoration. However, major flooding can cause widespread devastation that requires rebuilding whole communities. On Christmas Eve in 1955, the Yuba river overtook its banks, as well as the Bullards Bar and Englebright Reservoir dams. The river destroyed much of Yuba City, nearly destroying Marysville as well. The flood killed 38 people, and 30,000 more were forced to flee. Over 550 residents were rescued by helicopter. Heavy snowfall across numerous mountain ranges in the state in 1969 led to serious flooding after the thaw. The melting snow combined with a record rainfall in Sacramento caused devastating floods in the region. Central Valley rivers and Tulare Lake in the San Joaquin Valley all flooded, further spreading the devastation. By the time the flooding was finished, 40 counties had been declared disaster zones, 47 people were killed, 161 people were injured, and there were $300 million in economic losses. An earthquake in Alaska caused a tsunami in March 1964 that destroyed several towns in Northern California. Additional damage was reported far down the California coast. Fourteen people were reported dead in the flooding, and Del Norte County reported $16 million in economic losses. The flooding also led to greater awareness of the need for disaster plans for flooding caused by tsunamis. A week of heavy rainfall just after Christmas and lasting through the turn of the New Year led to major flooding in Central and Northern California in 1997. As much as 30 inches of rain was recorded in some places. Even after the rains stopped, numerous rivers continued to overflow into surrounding cities and towns, blocking roads, causing mudslides and causing major damage to homes and businesses. Approximately 300 square miles were flooded. The Yosemite Valley was included in that area, and it was the first time the valley had been flooded since 1861. After the flooding, 48 counties were declared disaster zones. All 46 counties in Northern California were affected. Eight people were declared dead, and there was a staggering $1.8 billion in economic losses. In total, 23,000 homes were damaged or destroyed, as well as 2,000 businesses. And yet, California’s 1997 New Year’s flood still wasn’t the worst in the state’s history. The worst flood in California history went from December 1861 to January 1862. The flooding lasted 45 days, and it affected an area stretching 300 miles, including all of Sacramento and the San Joaquin Valley. Standing water up to four feet deep created an inland sea in Orange County, and it lasted for three weeks. Flooding stretched from the San Gabriel Mountains to the Palos Verdes Peninsula. At least 200,000 cows were lost in the flooding, but no data is available about the loss of human life. Numerous homes, ranches, farms, vineyards and more were devastated in the flood. Fortunately, these disasters have taught us much about storm and flood management so that we may save more lives in the future. Floods are no laughing matter. If your home is damaged in one, be sure to call your local flood damage repair company at the first sign of trouble. You can also read up on flood prevention and safety on our blog. This entry was posted in Floods on June 22, 2015 by TSC Restoration.